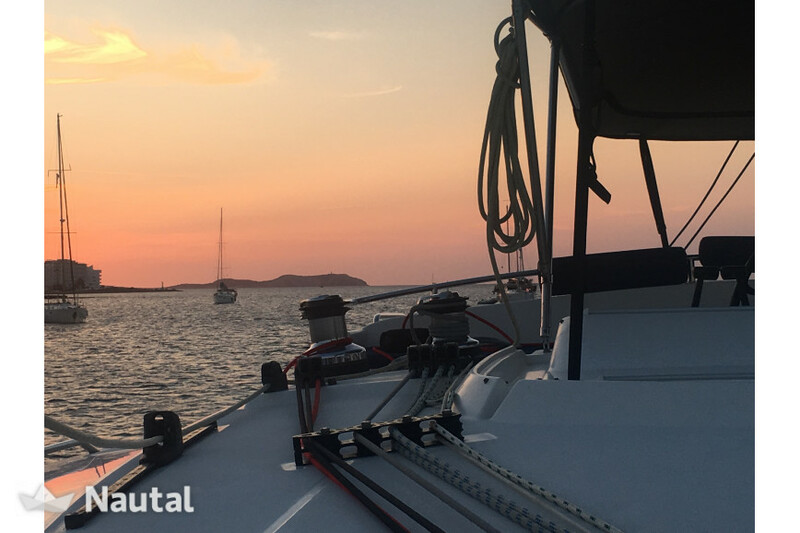 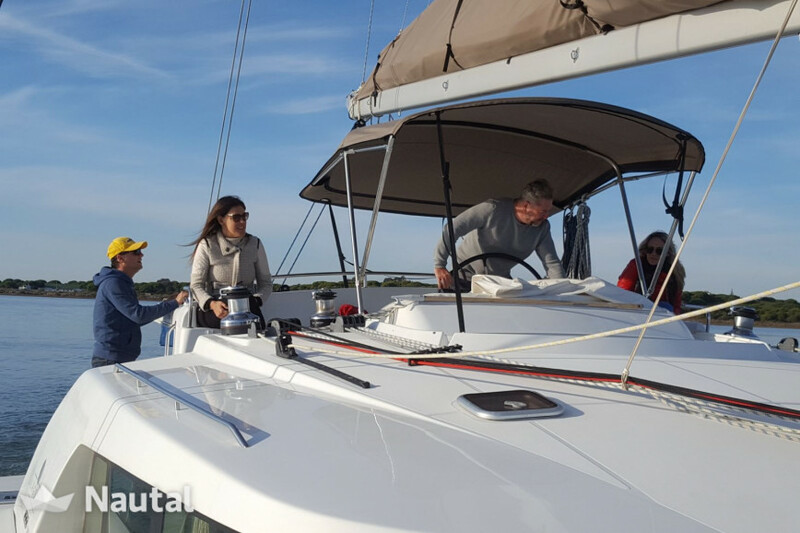 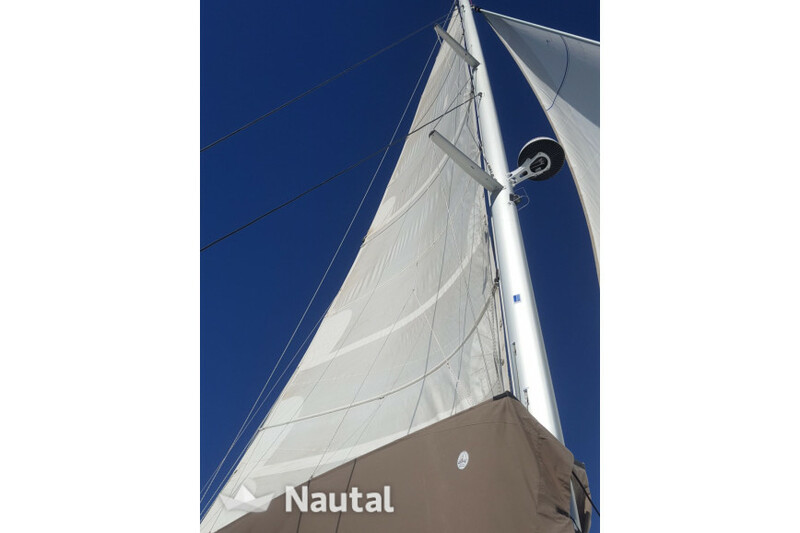 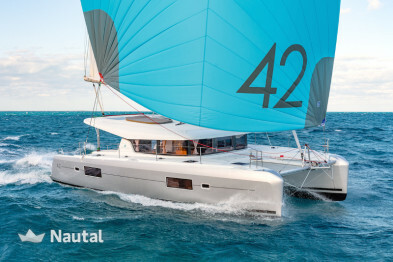 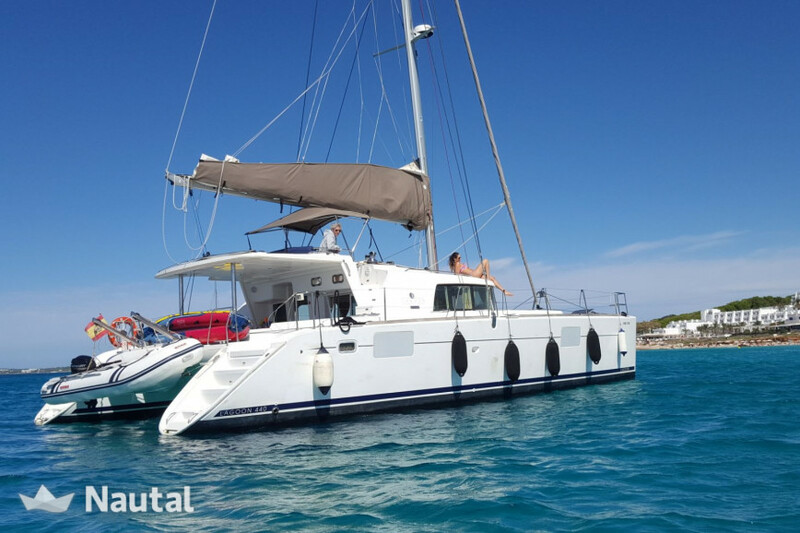 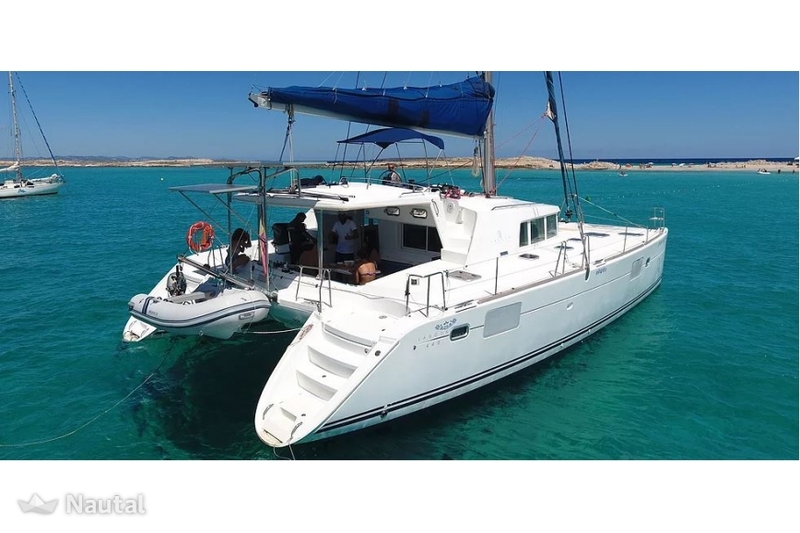 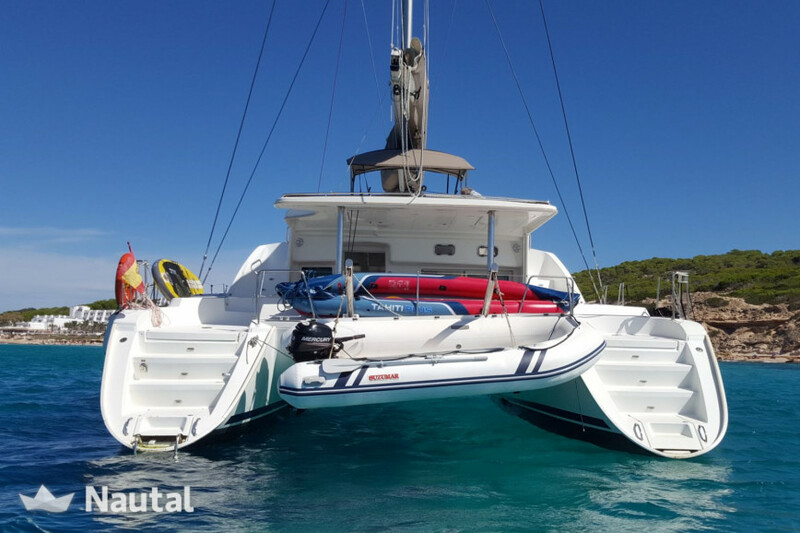 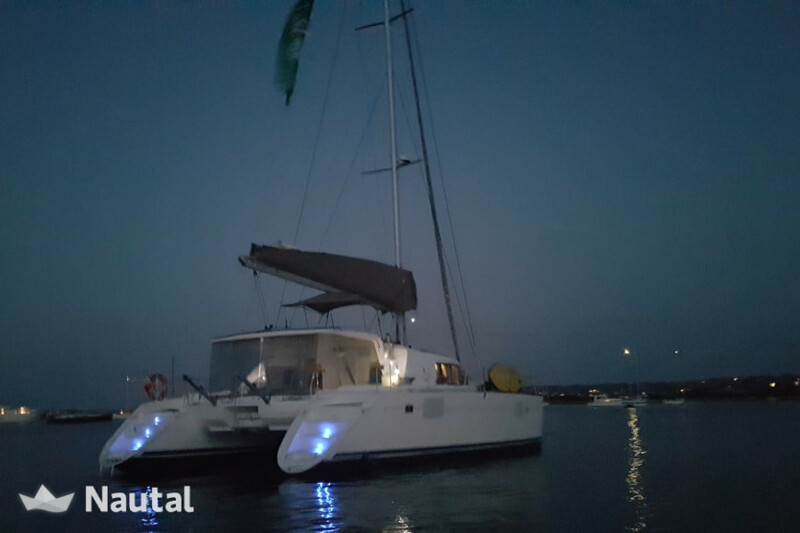 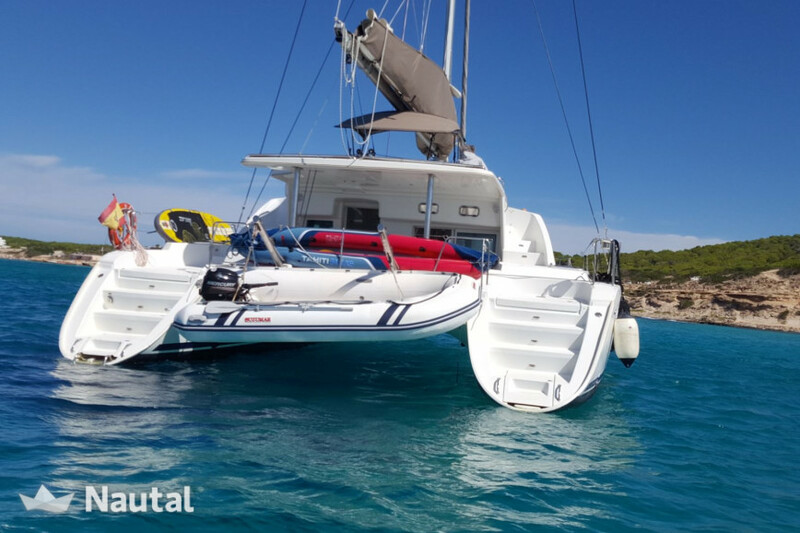 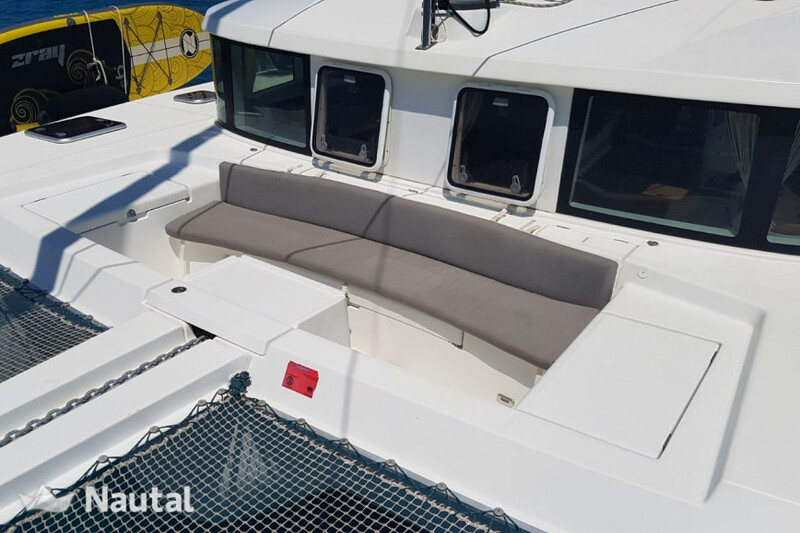 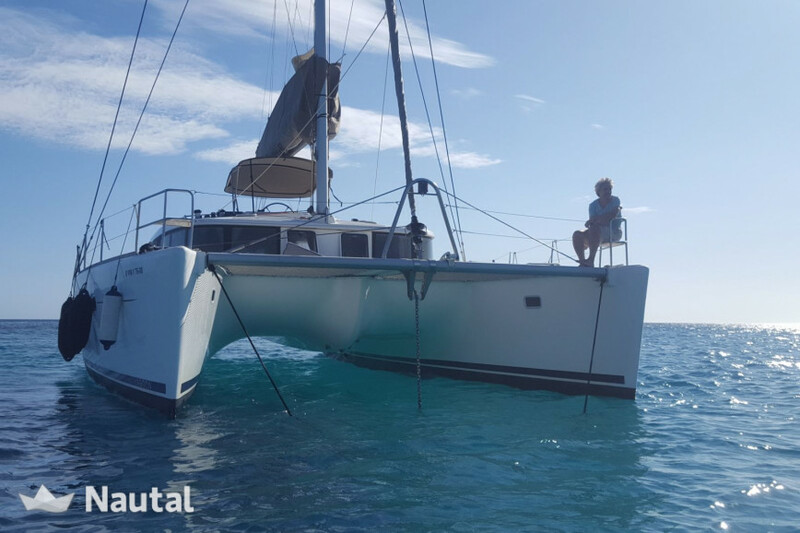 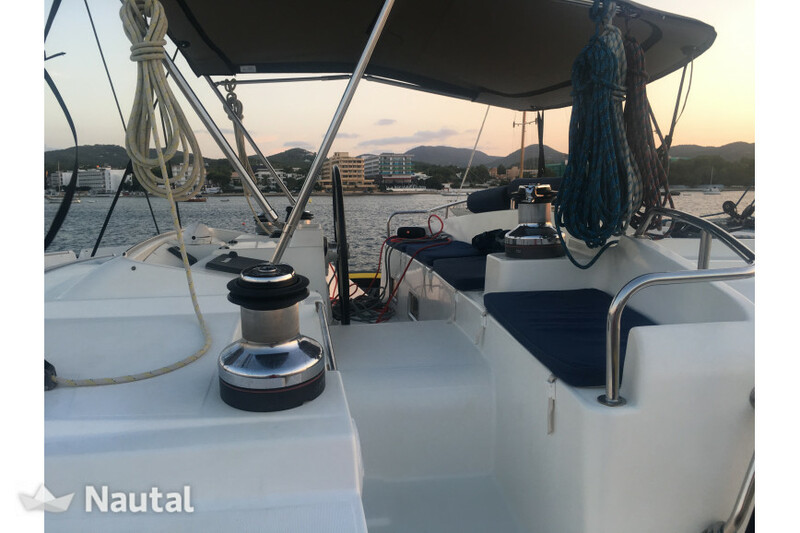 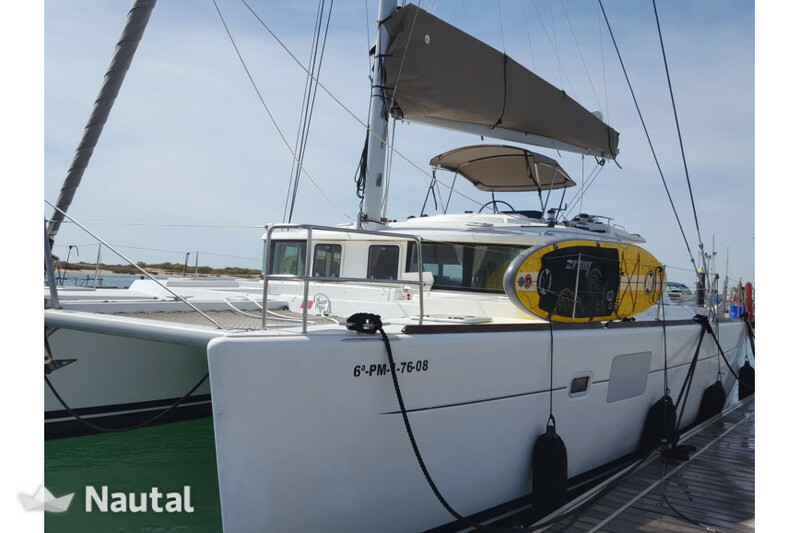 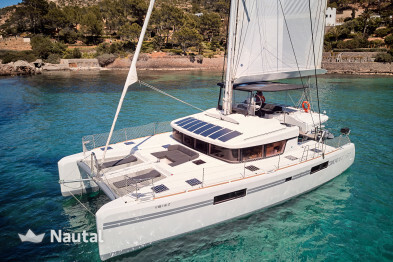 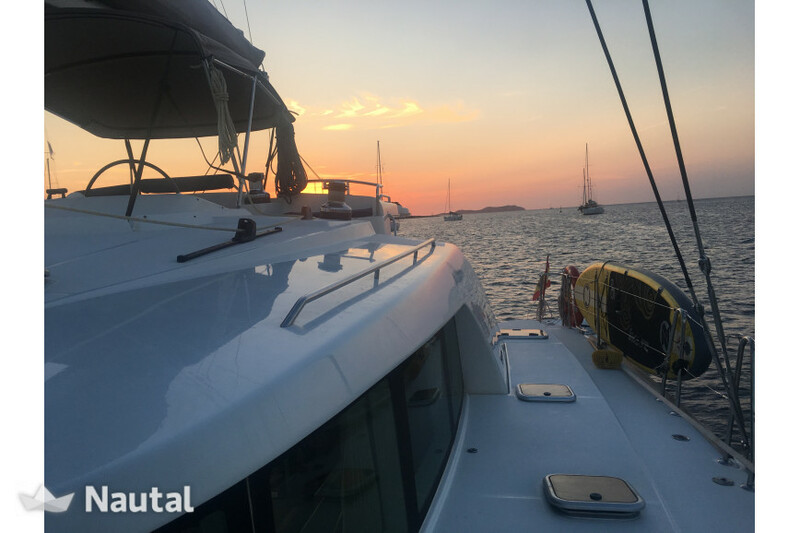 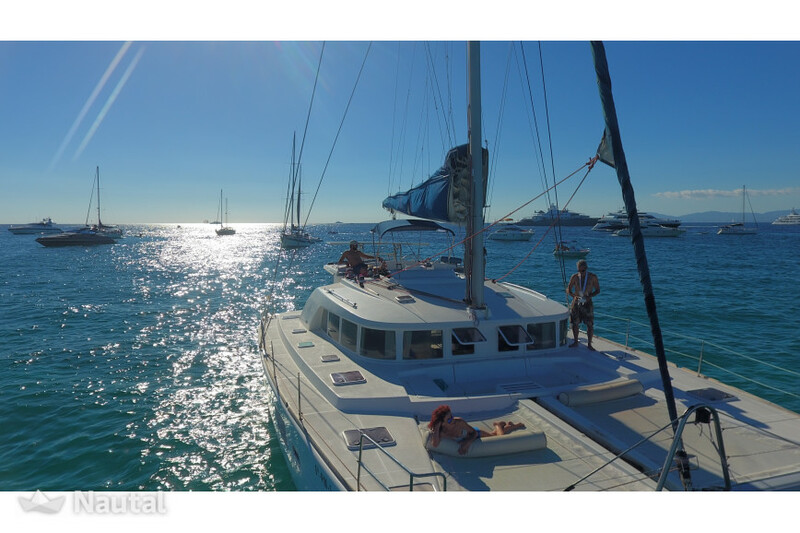 The catamaran rental Lagoon 440 is characterized by its comfort both sailing and during the mooring, with ample exterior and interior spaces. 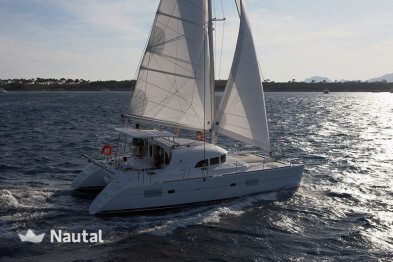 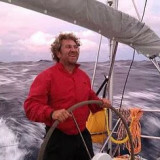 Be advised by a knowledgeable pattern of the area and discover the coast of the island Pitiusa best way. 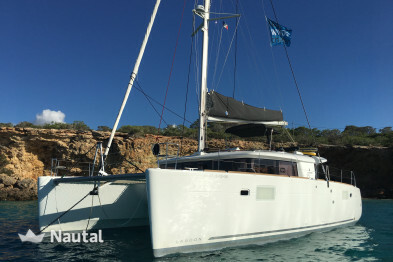 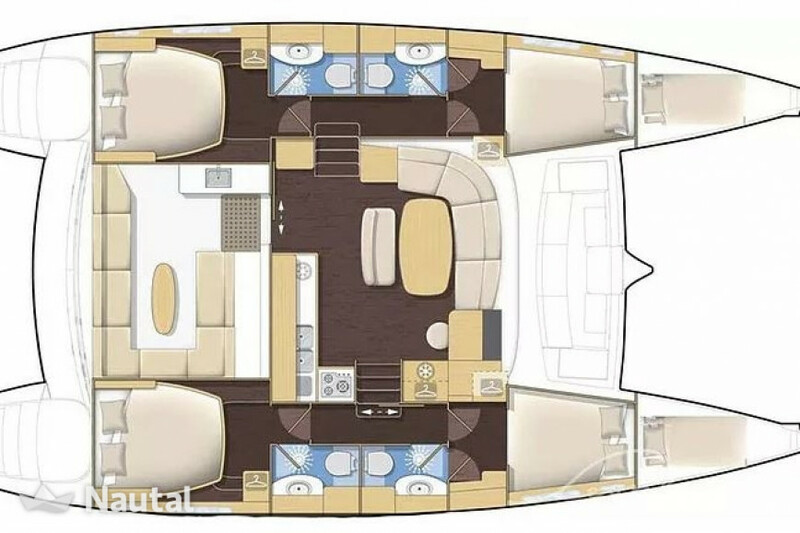 Thanks to its spacious cockpit with cushioned sofas, large network or your bow, you can relax outside on sunny days, or able resguardaros in its interior spaces, including a spacious living room, accommodating up to 10 guests. 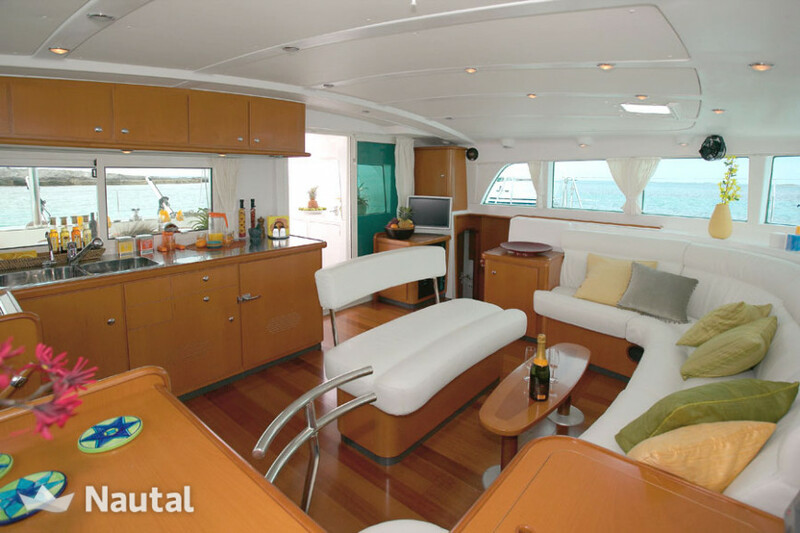 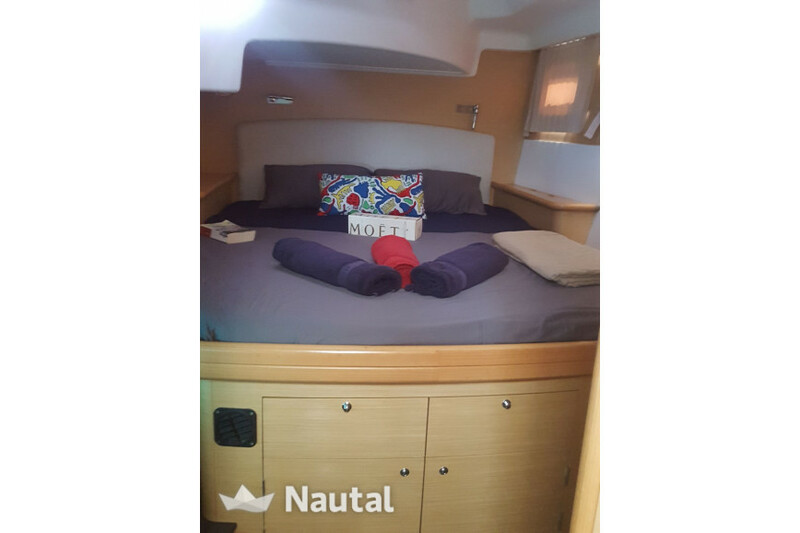 4 double cabins, a spacious saloon and convertible twin bow, accommodates 11 crew + skipper for the night. 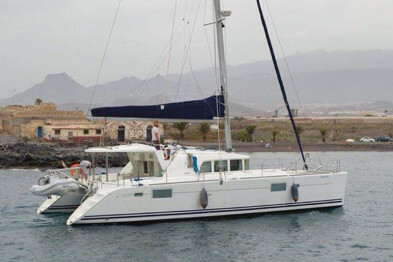 It also incorporates 4 bathrooms, private for each double cabin, and a fully equipped kitchen.